VroomVroomVroom provides the easiest way to hire a car and find cheap car rentals. 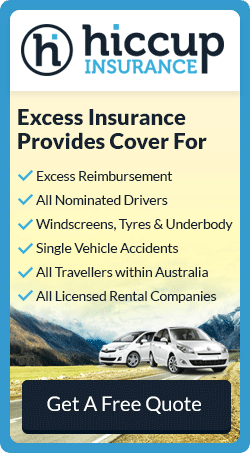 You're sure to find a vehicle from the top car rental companies in Australia including Avis, Budget, Enterprise, Europcar, Hertz, and Thrifty. Our secure booking system lets you compare the latest deals in an instant and find a car hire that suits your budget. So whether you are in search for a cheap hire car or a luxury vehicle, we can help you find what you need. You may even be surprised to find that you have booked a car hire in less than two minutes! Airport Car Rental Made Easy! Let VroomVroomVroom assist you in booking a rental car from all major and regional airports across Australia. Compare, Book and Save on airport car hire today! Toll roads still exist in Australia. Make sure you know what the options are with paying tolls when you collect your rental car. Find out more by reading our Tolls Page. After you have successfully booked a hire car with VroomVroomVroom, you can now check out the latest car park deals through our website. We did all the research for you and listed down the leading car park suppliers per key location in Australia so you can easily find a car park that will suit your budget and needs. Click here for a list of parking options across the country. 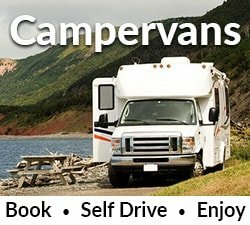 VroomVroomVroom also compares campers and motorhomes from major suppliers including Apollo, Britz, Jucy Rentals, Maui, and Real Value. Campervans are available in key locations across Australia, including Brisbane, Melbourne, Perth, and Sydney. Start booking a campervan now for an epic Aussie road trip. Need more information on booking a car rental? Do you have any questions about your car rental booking? Check our FAQs or Support page. For more information on the car rental process in Australia, you can find some useful articles in our Rental Information page. For driving advice and information about destinations around Australia, visit our Driving Tips and Road Trips pages. 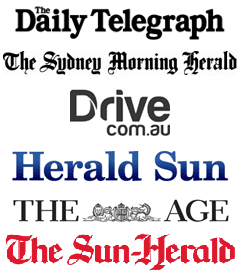 We can also provide you with information about car rental for major events in Australia. If you need further assistance, feel free to contact our Customer Care team via phone, email or live chat. You can also reach out to us on Facebook or Twitter. The red Avis logo has become a familiar face welcoming many travellers into airports and cities around the world. Avis is known to provide its loyal customers with quality service which has secured the company as a premium car rental brand. Backed by a strong commercial division you will find that Avis has the vehicle to suit your transport requirements no matter where you are. Budget car rental purchase brand new cars every year so that when you rent with them, you'll be hiring a current model vehicle. Budget offers some of the best customer service and vehicles at very competitive rates. Formerly known as Redspot in Australia, Enterprise provides rental cars in key city centres and all major airports in the country, including Sydney, Perth, Melbourne and Brisbane. Enterprise Holdings is one of the largest car rental companies in the world - operating approximately 1.5 million vehicles in more than 70 countries. Enterprise's relationship with Redspot marks the car hire company's entry into the Australian market. Europcar operates from all major airports and capital cities, as well as many regional and remote locations. Europcar prides itself on maintaining one of the newest fleets in the industry with vehicles averaging 8 months old. With a wide choice of vehicles, they offer economical hire cars all the way through to luxury rentals which include Mercedes Benz and Volkswagen models. With over 18,000 vehicles at 220 locations, the modern and well-maintained Hertz fleet encompasses hatchbacks, sedans, 4WDs, vans and mini buses as well as specialty cars in the Prestige, Fun, Adrenaline and Family Collections. As a global leader in its field, Hertz offers a range of innovative products and services including Hertz Gold Plus Rewards, NeverLost® satellite navigation system in a range of languages, Mobile Wi-Fi and Premium Roadside Assistance. Thrifty is the name and renting new cars is the game. Owned by NRMA Motoring and Service , it is the most Australian-owned car rental company of all the brands. They have adopted the Australian Finance Industry Association (AFIA) Car Rental Code of Practice to provide a high level of service at all times. They operate one of the largest fleet of vehicles available in the country. Established since 1979, East Coast Car Rentals is your destination for value and quality hire cars. Known as one of the largest independent car rental providers in the country​, East Coast Car Rentals​ takes pride in offering their customers a wide selection of high-quality vehicles at the lowest possible rates in all major cities and top locations in Australia. How was your experience using VroomVroomVroom? We want to hear from you. 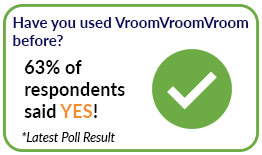 If you have any comments, suggestions or feedback about your experience with VroomVroomVroom, leave us a review here.